The next Branded Content Day is on the 29th of November 2019. Nemorin’s Branded Content Day in partnership with the Branded Content Marketing Association, The Drum Studios and The Video Suite is a celebration of branded content awesomeness which takes place on Thursday 29th of November. Building on the success of last year’s event, Branded Content Day 2018 will recognise the impact branded content is having on popular culture and business, and champion the achievements of the individuals and agencies doing the best work. The ethos of Nemorin’s Branded Content Day is inclusive and collective in spirit, motivated by a genuine desire to showcase and celebrate the UK community of innovators, creators and makers of all things branded content. The expert panel (which includes: Rebecca Allen, Global Head of Branded Content at The Drum; Graham Hayday, Director of Content and Strategy at Nemorin Creative; Claire Bartolomeo, Vice President of Content at VICE; and George Webster, EMEA Content Marketing Lead at HP) will ignite a discussion to capture best practice and pave the way for branded video in 2019. This is a free industry event, visit the website to attend. Nemorin Creative Film & Video is a global branded video agency. Founded by Pete Fergusson, former Head of Commercial Video at The Telegraph Media Group, Nemorin partners with agencies, publishers and brands to facilitate branded video production. The BCMA is the leading global trade body designed for anyone involved in branded content. It is the pre-eminent global member association leading through best practice on what makes great branded content and how brands, producers and agencies can engage audiences for maximum benefit and payback. The award-winning Drum Studio is the branded content arm of The Drum. We’ve got one goal – creating content your customers will love, using unrivalled audience understanding and editorial expertise to create compelling brand stories. The world’s best video content, handpicked and in one place. With great video content spread so thinly across the web these days, the team at Nemorin wanted to create a platform which would gather the best of the best in one easy to use place. The Video Suite is a free to use and valuable tool for those in the industry seeking inspiration, or for anyone who simply loves great videos. 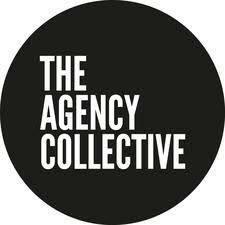 The Agency Collective help agencies to maximise their potential. It is the largest community of agency owners. As a member you can get access to knowledge, peer accountability and support that will take your agency to the next level. Their main hubs are in London, Bristol, Manchester and Edinburgh, but they have members all across the UK coming together inspiring and support each other.